Sharing files online is very easy. It can be done in multiple ways. 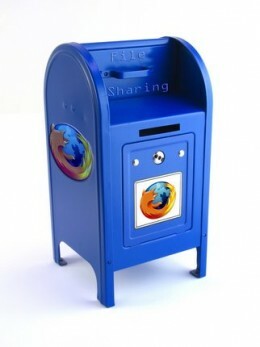 Sharing mainly helps you to access files between the two persons. However when you are away you can share your files on the internet. Internet provides the best service to share your files online. Online sharing has many good things. Firstly, the files which you want to share can be access from anywhere around the world where internet is available. There are many places on the Internet or we can say many websites on the internet where you can save your files,upload your files. You can get access to them whenever you want. Suppose you want to share it with your friends and family members,then you can provide them the unique url or directly your account if you trust them to get access to those files. There are many websites on which you can upload your files and share them with anyone you want. Some of these sites require account on them while some websites do not require any account. They provide unique urls from where you can get direct access to those files. You can give these unique urls to your friends and family to get access. Some of the website where you can share your files online are....Remember some of these websites requires free registration and some do not. Here they are.. These are some of the top websites which provide an easy way to share and upload your files online. You can try them all. They are the best. However there are so many other websites which are there. Some also give revenue if you upload and somebody downloads your files from that website. So give them a try. Do you know about hotmail skydrive?? If you don't know them let me tell you that If you have a Hotmail account then it provides an option known as Skydrive which gives you a space of 25GB to store you files online. Windows hotmail skydrive is available only if you have account. A Whooping 25GB to store all your data files and anything you want..whether files,pictures or any softwares, Microsoft does not mind anything if you upload. This is the best as you can share the same account to get access to the files from anywhere you want. So get a hotmail account and start sharing your files online with Windows Skydrive.